OUR AWARD WINNING, MULTI-DISCIPLINARY TEAM CAN HANDLE ANY SIZED PROJECT AND SCALE OF COMPLEXITY, from start to finish. FROM PLANNING & DETAILED DESIGN, THROUGH TO INSTALLATION & MAINTENANCE, WE'VE GOT YOU COVERED. Each client project begins with a detailed plan. We start with client meetings, site surveys and an analysis of local zoning, permitting and municipal guidelines. A careful review of organizational design standards follows with recommendations on creative and technical design, specifications and guidelines for materials, manufacturing and installation. A dedicated project manager leads a team of professionals on every project. We start with a careful analysis of the project and implement the plan in close collaboration with clients. Services include: site surveys, permits and zoning approvals, graphics standards, quality control of materials and manufacturing, supervision and installation, and post-project evaluation. We create fresh new concepts, manage rigorous brand and corporate identity standards, implement rebranding programs and solve unique site challenges. Creatively, our designers develop signage with outstanding visibility and high impact, confident that our best designs will not only inspire but also deliver results for every application. Knight Signs specializes in custom-manufactured architectural and signage products for interior and exterior spaces. In-house technical design and CAD drafting staff create specifications for a wide variety of custom signage projects each produced by craftspeople in our 50,000 square-foot, state-of-the-art manufacturing facility located in Delta, BC or our new facility in Mississauga. We have handled challenging installations indoors and outside. From skyscraper rooftops, busy airports and hospitals to transit stations, restaurants, shopping centers and remote outdoor locations. Experienced installers use the latest technology and our fleet of modern equipment to manage the surprises that come with every installation. We offer a selection of service, warranty and leasing programs to help protect your signage investment. Proactive servicing extends the lifespan and performance of your signage through scheduled maintenance, insurance and warranty programs. Clients are protected by E&O insurance on design and bonding on installation and leasing provides a valuable financial option for projects of all sizes and applications. Channel or “dimensional” letter signs are a popular choice for retail and commercial businesses because there are so many variations and they can be custom tailored to fit a particular need or budget. Channel letters variations include: illuminated, non-illuminated, flush mounted, or installed on a raceway. Contour cabinets and other design elements can be used to give the sign a unique look. Channel letter signs come in a variety of shapes, fonts, colors, and textures. Illuminated signs use low voltage L.E.D. or neon. Knight Group is an authorized distributor of LPFLEX™ products in Canada. An alternative to neon, LPFLEX™ uses an LED specially designed and developed to provide the best energy efficiency on the market. With minimal power consumption per LED, these LEDs produce an astonishing light output normally only achievable through the use of power LEDs. LPFLEX products are manufactured in Germany. Cabinets provide a nice bold look to signage. Strong colours help the sign to become more eye catching. We design, manufacture and install primary commercial identification signage including free-standing pylon and monument signs, and tenant identification panels. Illuminated and non-illuminated free-standing signs are designed to stand out from the crowd. Signage with no built-in lighting. Ideal for exterior or interior applications. Our in-house neon plant and expert craftsmen have produced some spectacular and highly recognizable signs. Knight Signs successful wayfinding projects in airports, healthcare, shopping malls and transit have made us the industry leader in design and manufacture of wayfinding systems. From both exterior and interior solutions delivered with the utmost quality. Our understanding and expertise in visual design fused with information that help people navigate through complex environments comfortably aids in our delivery of wayfinding solutions to our clients. Working collaboratively with our in house designers and firms we are able to facilitate in rebranding existing places and spaces by creating a stronger identity through signage. 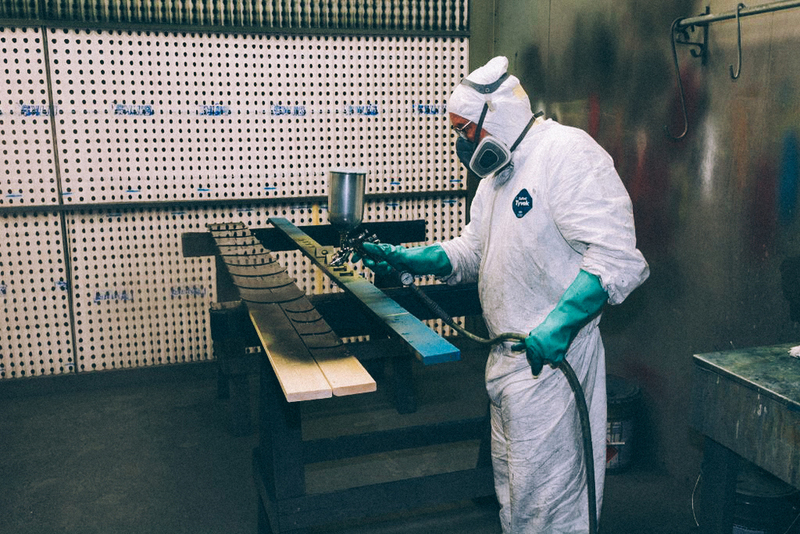 Knight Signs’ state-of-the-art manufacturing facility consists of over 50,000 square feet of work space where our experienced and talented staff produce high quality custom-manufactured architectural products for interior and exterior spaces. Our professional in-house team of technical design and CAD drafting staff create specifications for a wide variety of custom signage projects and our experienced crafts people follow exact technical specifications to manufacture a virtually unlimited array of products. The Knight Group offers comprehensive signage maintenance services on monthly or annual payment schedules to ensure our clients’ signage is always in top quality condition. In addition to our comprehensive service program we also offer extended ‘sign insurance’ coverage, scheduled maintenance visits, and emergency outcalls. Maintain signage asset value, extend lifespan and maximize performance of your signage assets through pro-active, scheduled maintenance performed under a long term contract arrangement. Route-based scheduled maintenance sweeps including: thorough cleaning of outside sign fascias, pylons, channel letters and cabinet interior. Complete wash of exterior cabinet. Replacement of malfunctioning electrical elements contained within the signage including: light bulbs, tubes, transformers, ballasts and wiring. Knight Group offers a full one year warranty on all signage including materials, workmanship and labor. A two year warranty is extended on all major electrical components, such as ballasts, transformers and LED power packs, excluding labor. Please contact us for more details. Exceptions: Fluorescent tubes, incandescent bulbs, and neon tubing which are warranted for thirty (30) days, covering both labour and materials. Electrical components are warranted for ninety (90) covering both labour and materials.